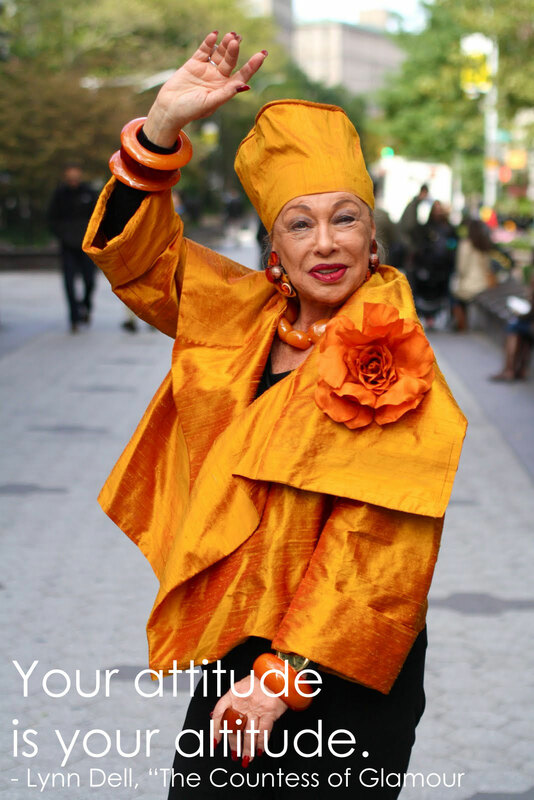 Elline had the pleasure of meeting and interviewing “The Countess of Glamour,” Lynn Dell, at her Off Broadway Boutique in the Upper West Side. Lynn shared her style and life advice with Elline. “Every one of us has wonderful features, whether it’s your hands or your face or your hair or your body, and it’s the way you stand and the ways you present yourself. You must have a good time! The most important thing is to have a good time and radiate it. People will gravitate to you when you show them warmth and love and your arms are open,” said Lynn. Lynn started her career as a fashion designer showcasing her original style for the stars and produced and hosted her own TV show, Positively Lynn. Lynn has become infamous for “Dressing for the Theater of Life,” and as you can see in the video from our interview with her – she is nothing short of theatrical.